I often wonder what someone means when they are looking for any type of service or product and tag the line that it must be reasonably priced. Every business has what they believe are reasonable priced products and services. We price them according to what we have to pay for the product or what our time is worth to create it. Big box stores can always underprice anything that a small business offers. They have huge buying power. Even in a service, their volume from all their stores combined will bring the price down. One thing to remember though, low price does not always get you what you want. Service, quality of product and availability are very important. If you are getting married and receive pictures that are blurred or a flower bouquet that is dying before you even have the chance to walk down the isle, you are not going to be very happy with the reasonable price you paid. We all believe that we have a reasonable price for what we offer. It is up to you to decide what you wish to spend on each service or product and find out what is offered to you within that price range. You might have to cut out the getting dressed shots or substitute one flower for another to get it within your idea of what you wish to spend. What is a reasonable price to one person might not be for another. If someone is offering you exactly the same product or service for a much lower price, it is important to find out why. How much experience do they have, are they offering the same music as the other DJ? How are the flowers prepared? Are you getting chicken or roast. Are they cutting out something that the other service offered? Are they going to be taking pictures for you all day or are they there for an hour or two? What is a reasonable price? You decide. Asking the business to give you a reasonable price when they already know they are based on their experience, time and expertise will not get you a great service or product. Do your homework. Check out what is being offered within the package. Find out what qualifications they have. Look at their referrals and recommendations. Talk with them and ask them if they can work with your budget and if so, what you will receive. If you are asking for a quote, ensure that each business is quoting you for exactly the same thing. What you think you are going to get and what you end up with can be totally different even though the price is exactly the same or less. The bottom line is to seek out the business that is offering you what you feel is the most reasonable price based on what you will be receiving. Only then will it be reasonable. Please Give Wedding Vendors a Break! 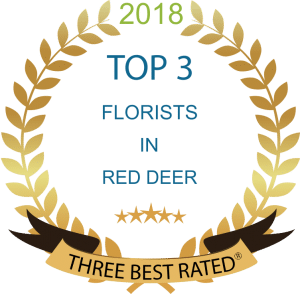 Please buy your flowers from a “REAL” flower shop!